Metal coffee table available in different sizes and colors for a custom and modern furniture. Lightweight table perfect to place objects of any kind. Table Round by Meme Design, made of curved metal customizable in various modern and contemporary colors. Top with slightly raised rim, curated in the smallest details, which characterizes the design with the braided base. Round coffee table that can be placed in the middle of the living room or in other modern environments. 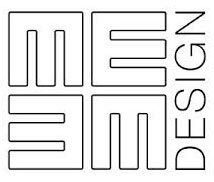 MEME DESIGN was founded in 2012 by three professionals in the sector, that give shape to their ideas and projects of making useful furniture and trendy. Each MEME DESIGN product is made entirely in Italy to ensure high craftsmanship and attention to details. These made the furnishings in Italy are manufactured to 3 requirements: creative and original design; excellent quality; competitive price. Thanks to the attention to detail and the high quality of products, MEME DESIGN has achieved excellent results before expanding across Europe and then in South America.